We're a pet friendly landlord. It's estimated by Dogs Trust that 45% of households in the UK own a pet, and 4.2 million households live in privately rented accommodation. It's more than often the case however, that landlords won't allow pets in their homes. Often people end up living in accommodation that's not really suited to their needs, they keep pets without the consent of their landlord which could later see them facing eviction, or in some extreme cases tenants have been forced to give up their pets to avoid becoming homeless. We think that when you move into a home, you should be able to take the whole family with you - including pets. That's why we're a pet friendly landlord, with over 95% of our homes accepting pets*. 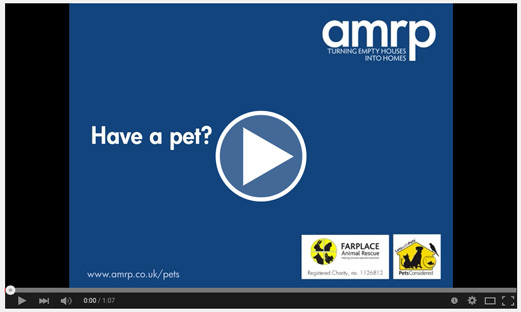 We teamed up with Farplace Animal Rescue in County Durham to raise awareness of the difficulties families often face when looking for privately rented homes, and to help link more pet owners with new homes. We're also a member of Dog's Trust's LetsWithPets scheme. Your pet will even have its' own tenancy agreement, so you know we won't try to evict you just for having an animal in your home. The agreement sets out any restrictions, and explains how we expect you to keep your pet under control, to make sure it doesn't affect your neighbours and that your home is kept in and left in good condition. Most of our properties have outside space, or are located close to walking routes, parks and open spaces. If you'd like to find out more about areas that are particularly suitable for animals, give us a call on 0191 640 4064 and chat to one of our Housing Co-ordinators. As well as being a pet friendly landlord, we also have a dedicated Relocation Team who can help you to move to the North East from elsewhere in the UK. We've already rehoused tenants who might otherwise have been homeless as their previous landlords refused to allow them to keep their dogs. Moving with AMRP is simple and easy, and you'll always be given a choice of homes that meet your budget and your circumstances. For more information click here. 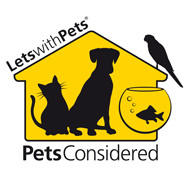 *Pets are not allowed in our Bills Included Rooms to Rent (shared houses) or furnished homes.